There are better things to do with your free time than spend it pushing a shopping cart through a grocery store or supermarket as you search the shelves for the items and brands you need. Invariably, the list of 20 items you needed when you entered the store doubles by the time you get to the checkout register. Grocery delivery services offer an alternative for shoppers by allowing you to submit your order online. Someone else does the shopping for you, and the ordered groceries are delivered to your home. Some grocery delivery services, such as Amazon Fresh, operate independently of local grocery stores by offering customers a selection of food and grocery items from their own suppliers. Amazon Fresh might change in the future now that Amazon acquired Whole Foods. Other companies offering grocery delivery operate in conjunction with local grocery stores and supermarkets to offer customers a selection of items from those local stores. Walmart Grocery, for example, offers two grocery delivery options to its customers. People can place their online grocery delivery order and have it dropped off at their homes, or they can place the order and pick it up at a local Walmart store. Grocery delivery services should not be confused with services that deliver meal kits. Grocery orders tend to be much larger than a meal delivery. Another difference is that food and other items in a grocery delivery are usually intended to restock a family’s pantry, refrigerator and freezer with food and supplies to be used and consumed over time. Meal delivery services offer the items required to prepare a meal or a day’s meals. They are meant to be used relatively soon after delivery and not stored as are items delivered as part of a grocery delivery. The area served by a particular grocery delivery service varies from company to company. Peapod, for example, is only available in the Midwest, the mid-Atlantic region and in New England. You might think that Amazon Fresh, which uses the Amazon website for customers to place their orders, would be available everywhere, but it is not offered in all areas of the country. 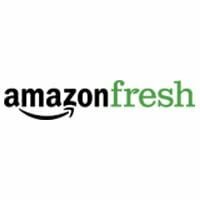 People can find out if Amazon Fresh is available in their location through a ZIP code search available on the Amazon platform. Instacart is in 40 states and Washington, D.C. at the present time. 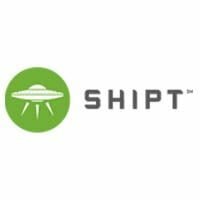 Shipt is limited primarily to Chicago, the Southwest and certain parts of Texas. Walmart Grocery is not available in all parts of the country. Customers should check the websites of each company to determine where they are operating. Do You Pay Higher Grocery Prices With Grocery Delivery? The prices you pay for groceries delivered to your home through Peapod, Walmart Grocery, and Amazon Fresh should be comparable to what you would pay if you did the shopping yourself at a local store. Shipt customers pay about $5 more on a $35 order than they would pay had they opted to do their own shopping according to the company’s website. Shipt charges an annual membership fee of $99, which is a huge savings over its monthly fee of $14. Membership comes with free delivery on orders of $35 or more. Orders for less than $35 incur a $7 delivery fee. The company offers a two-week free trial membership. 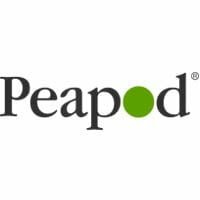 Peapod does not require a membership, but it charges delivery fees ranging from $7.95 to $9.95. Larger orders pay less than smaller ones, and there are discounts for deliveries made during off-peak hours. Customers can pay for a membership at $119 a year offering a set delivery price on orders of $100 or more. 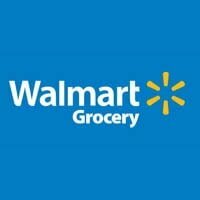 Walmart Grocery does not offer a membership. Orders placed for pickup at a local Walmart store do not incur a delivery fee. The fee on orders delivered to a person’s home varies depending upon the region in which the service is offered. Amazon Fresh requires a $14.99 monthly membership on top of the Amazon Prime membership. There is a 30-day free trial for new customers. Delivery is free for orders of $50 or more, but smaller orders are charged a $9.99 delivery fee. 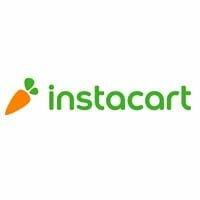 Instacart charges between $5.99 and $11.99 as the delivery cost for orders placed by nonmembers. Customers can join Instacart Express for $149 a year to get free delivery on orders of $35 or more. You can get delivery within one hour of placing your order, but there is an additional charge. Coupon policies vary depending upon which grocery delivery service you use. Amazon Fresh, Instacart, Shipit and Walmart Grocery, for instance, do not accept coupons. Walmart Grocery applies this policy to both delivery and pickup orders. Peapod accepts manufacturer’s coupons and even doubles their value up to 99 cents.